Columbia’s big budget horror comedy lumbers to the finish line thanks to the low budget charms of counter-culture comics Harold Ramis, Dan Aykroyd and, especially, Bill Murray, who confronts each ghoulish manifestation with unflappable aplomb and devastating put-down lines. Quirky co-stars Rick Moranis and Annie Potts help keep the atmosphere loose and the climatic showdown with the high-rise Stay Puft Marshmallow Man is the perfect evocation of stoner comedy on a big budget. 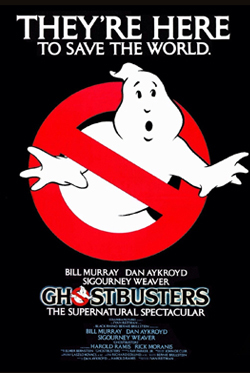 Made for 30 million, the film was a huge hit raking in close to $300 million in the summer of ’84.